In no time WordPress has become one of the leading platforms for creating a master website with the help of efficient developers of the software. 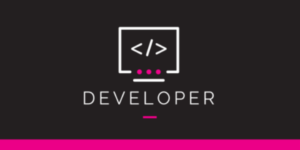 Over the years the WordPress development company has been an outstanding support to all such e-commerce stores who had no idea what is coding. Not only them but the blog sites are also utilizing the services of WordPress efficiently. Although WordPress is complete and efficient in its own way, there is something that can be done to enhance its creativity i.e plugins. The plugins which are a programming feature helps add a little variation in creating a better version of the site. Depending on each website the requirements of plugins are different, yet there are certain basic plugins which can make any website better with its added features. The plugin going by the name is meant to help the developers, it is intended to optimize your development environment. It is a plugin that suggests what kind of plugin is suitable for your site. After providing with the details such as themes, what is being developed and plugins it flourishes you with a number of plugins to help your website work more efficiently. 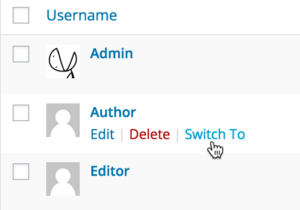 With the help of just one simple click, the developers can switch between different accounts. This plugin can be very useful when it comes to managing workflows or testing of user privileges and roles. You can turn back to the original account without having to worry about the passwords, although having administrator privileges is important. As the name suggests it is a plugin which can take care of all the errors including PHP and also handle MySQL queries for the owner. It is required by almost every developer to track down PHP errors and other warnings in order to fix them in time. 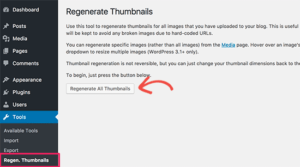 This plugin helps in regenerating the images and other pixels according to the changes taken place in the website. It reshapes the items in order to fit them at correct angles. It is a straightforward and hassle-free way to fix an image or thumbnail issues occurring on the website. 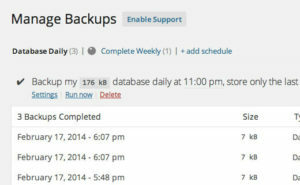 Backups plugin proves to be very vital when it comes to safeguarding the website data from being lost. At any point of time, the site may crash, a hacker may takeover, so to avoid loss of data at such events this plugin ensures that the files, images, plugins, and other data will be retrieved easily. A plugin which helps you optimize your website for different devices by assisting the developers in writing CSS code. Unlike other plugins, Advanced CSS editor is compatible with all the devices starting from tablets, mobile, laptops, and desktops. Thus, these plugins are all you need to set up a proficient website but the list is exclusive as when you hire WordPress developer for your site, they will inform you with the essential needs and plugins to fulfill those needs.